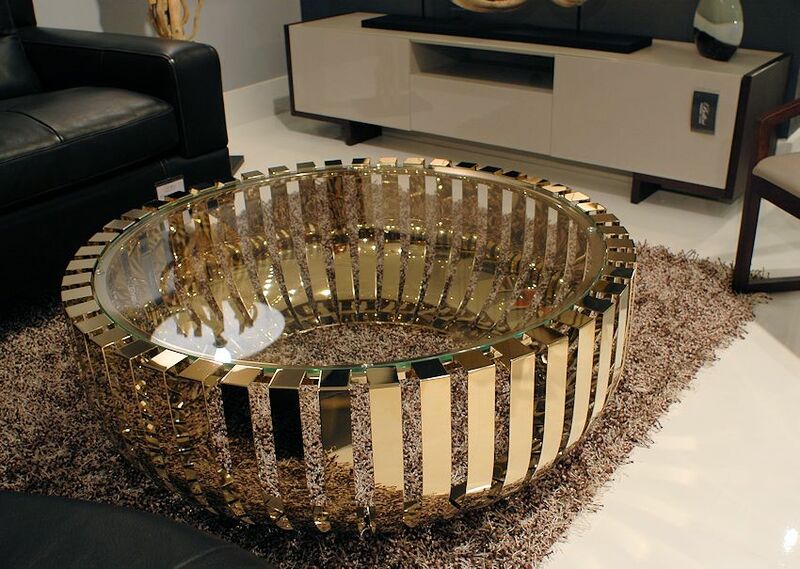 $ 1,550 - Roza coffee table with stainless steel base in Champagne finish. Dimensions: 39" diameter x 14"H | 8 mm tempered glass top. 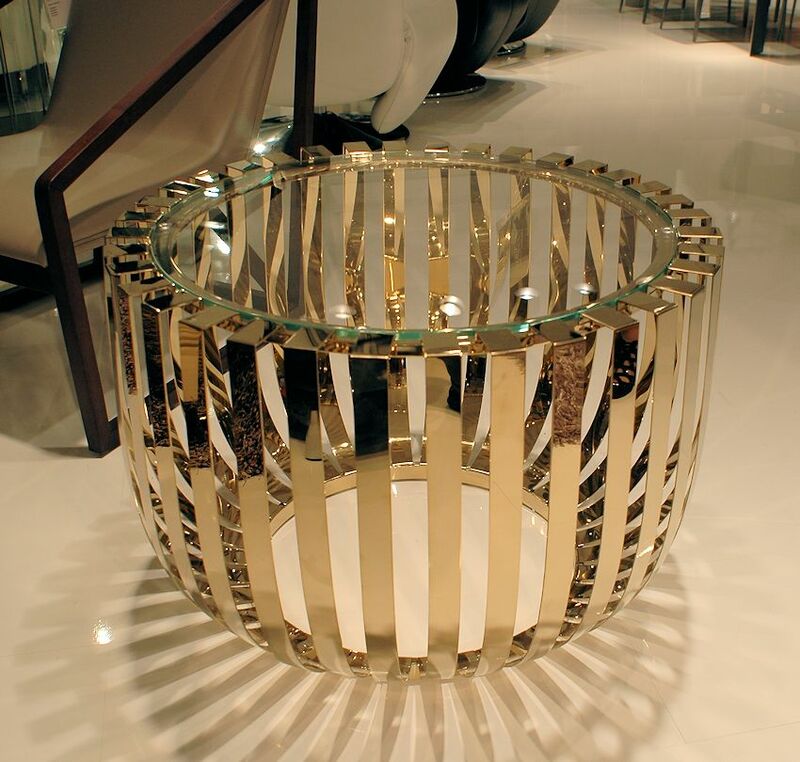 $ 1,150 - Roza end table with stainless steel base in Champagne finish. Dimensions: 28" diameter x 20"H | 8 mm tempered glass top. © 2017 - 1 Contemporary Furniture ® / all rights reserved worldwide.